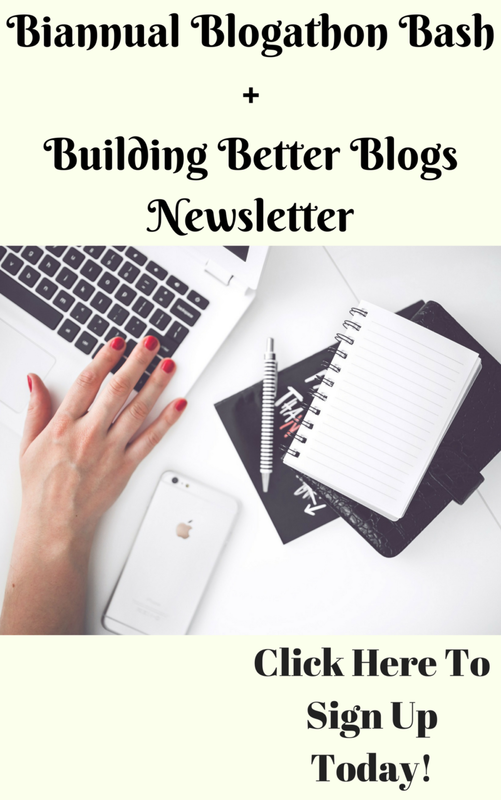 Are you looking for ways to skyrocket your pageviews on your blog? Is your site stuck at a certain traffic number? 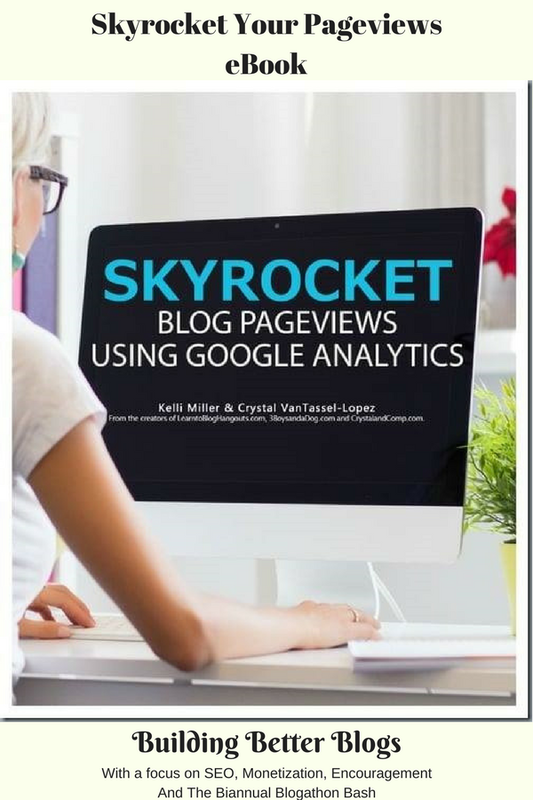 I recently bought an ebook from the #LearnToBlog gang (Kelli Miller & Crystal VanTassel-Lopez) called Skyrocket Blog Pageviews Using Google Analytics. 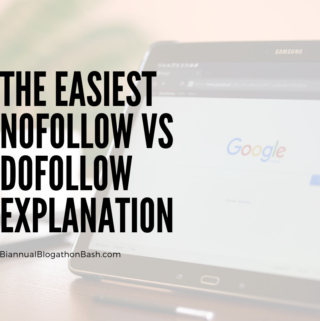 I’ve been following the tasks in it to make small changes to my blogs to help increase the pageviews. The book has 30 actionable tasks designed to take the knowledge you can find in your Google Analytics account and apply simple changes to your blog to keep your readers on your site. If Google Analytics has been confusing for you or you know how to understand the data but you don’t know what to do with the data, this book is up your alley. I taught myself how to use Google Analytics and I definitely know how to use it more than the average blogger so I figured I might not learn much but I’m learning new ideas I haven’t thought of in my 10+ years of blogging. If I’M learning something, then you will learn something. 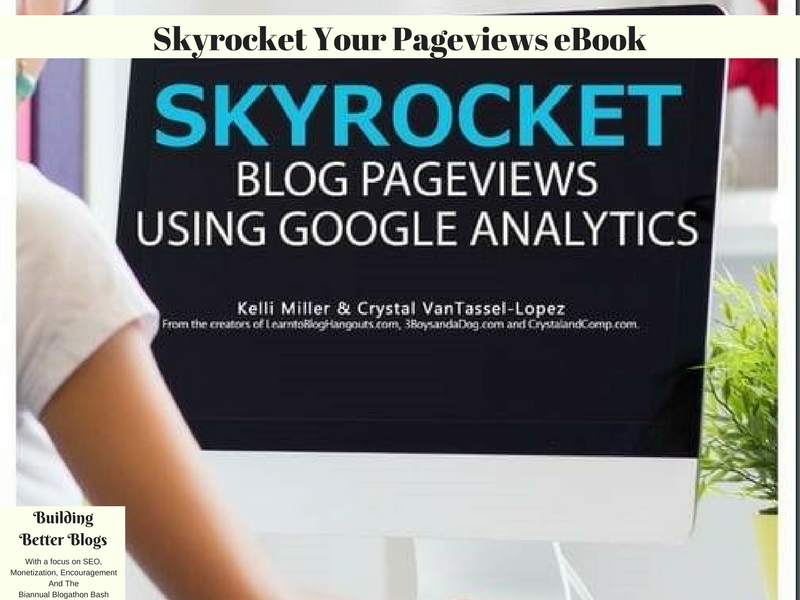 The authors of Skyrocket Your Pageviews have more than a million pageviews so they know what they are talking about. If you are struggling with getting readers to stay on your site and view more than one post, this book will help you with that. The book will help make sure you have the perfect settings set in Google Analytics to get the most data, how to grow your social channels, improve your site layout and grow your readership of course. I’ve been working through this book with a group of others and it’s too early to see results but I’ve been finding the tasks an easy quick task that I can fit into my day. Have you ever wondered how to update old posts for SEO and Pinterest when there are so many? Using the methods from this book you will know just which ones to update first. 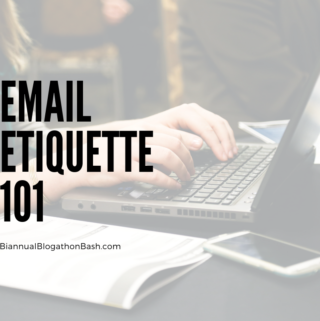 Sheri Ann Richerson here – and I too own the Skyrocket Your Pageviews Bundle. I have spent the last year and a half working through this eBook, along with their other courses Dominate The Search Engines and Conquer The Layers Of Search Engine Optimization. I honestly have to tell you investing in their courses was the best decision I ever made. I started with the Skyrocket Your Pageviews and that is where I recommend you start as well. Then I moved on to Dominate The Search Engines which builds on what you learn in Skyrocket Your Pageviews. The last course I took was Conquer The Layers Of Search Engine Optimization and it was fantastic! Each course truly builds on the last one and I cannot say enough good things about them. I have indeed seen results from the tasks I have performed based on what I have learned in these eBooks and courses. 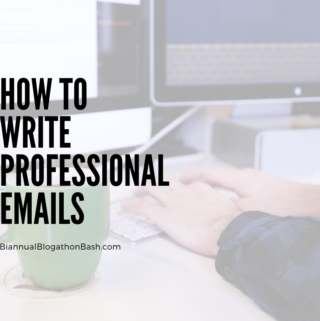 The one thing to keep in mind is this is a process and nothing is going to happen overnight – unless you get a viral post, of course! 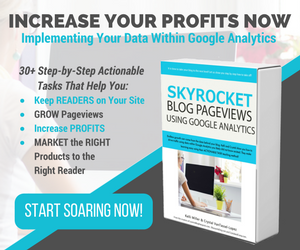 Order Skyrocket Your Pageviews Today! Thank you! I appreciate you leaving a comment.